Amid a surge of attention to global Indigenous and environmental activism, this talk examines an alternative historical formation of political ecology in the unlikely shape of Cold War diplomatic tours. Between 1953 and 1973, the US Department of State sponsored Native American artists to travel to strategic locations around the world. 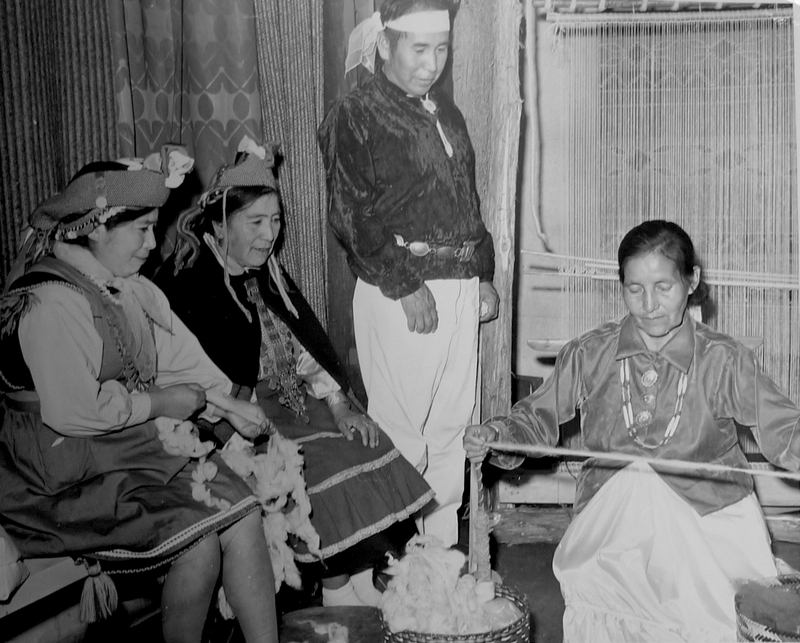 These “official” tours inadvertently prompted the translation of older Indigenous cultures of diplomacy into modern artforms that extended relations of kinship and reciprocity. Horton focuses on textiles and durable variants of sandpaintings gifted by Diné (Navajo) artists Bertha and Fred Stevens during their travels across Eurasia and the Americas from 1966 to 1970. She considers how the resulting social-material exchanges intervened in an unsustainable “balance of power” theory of international relations that was implicated in the nuclear arms race and uranium mining on Indigenous land. This research seeds a broader discussion about the potential for creative forms of diplomacy to rebalance social-ecological relations through the coordination of nonstate actors across geopolitical scales. Jessica L. Horton is an assistant professor of Native North American modern and contemporary art at the University of Delaware. She is the author of Art for an Undivided Earth: The American Indian Movement Generation (Duke University Press, 2017) and numerous articles addressing the intersections among art history, Indigenous knowledge, globalization, and ecology.